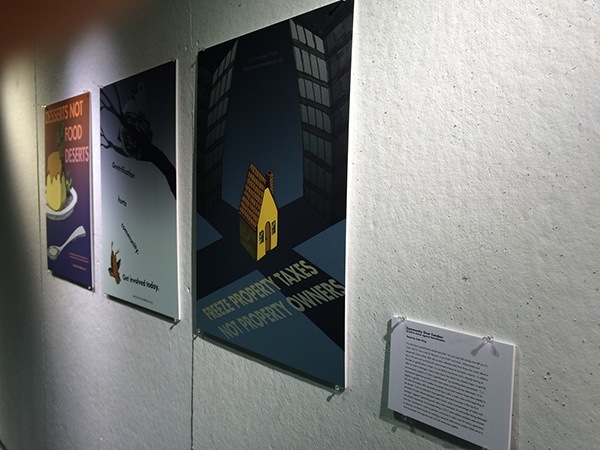 The series of posters, with their calls to action and mesages addressing different aspects of gentrification. Can graphic design be used to bring community together to combat gentrification? By utilizing effective research and making smart choices when it comes to principals of design, such as dramatic color schemes, lighting, typography, and more it can. 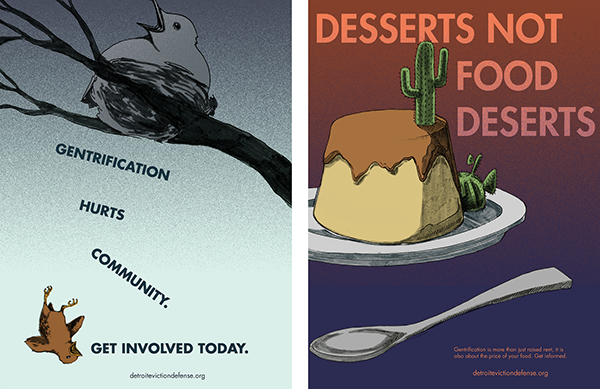 Through designing posters using these methods, a community can be intrigued by posters that ultimately inspire them to connect in response to the quesiton of "what next?". 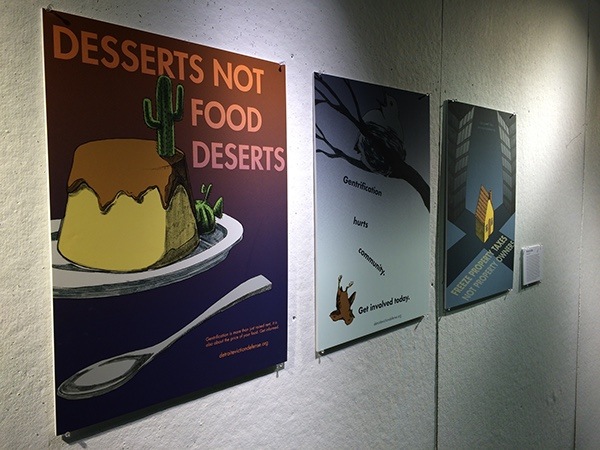 Installation of the three posters, acompanied by the thesis statement. 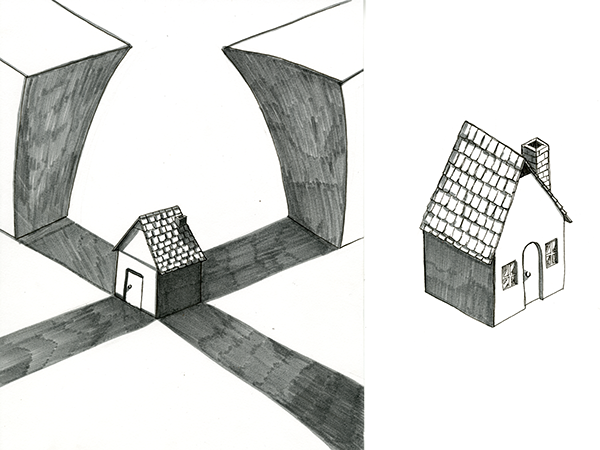 My thesis evolved to this topic because of my interest in a way to use design to raise awareness with community in mind. Gentrification in particular is a topic that concerned me, as it has the potential to affect us all. Those especially at risk are the elderly, which are a demographic in particular that inspired me to act as I did further research into the Detroit area in particular. I saw a need for call-to-action posters that would connect a community together with an organization that could help prevent homeloss and other negative effects of gentrification. The intent was to create a series of call-to-action materials that could connect a community with local resources. This ultimately took the form of a series of posters that could be hung up, since many of the people in these communites walked around and so an effective way was this medium since it could be brought to meetings and other venues. The audience is not only those who are at risk, though they are definitely the primary audience, but also those moving to the area who may want to do their part to minimalize the effects they may have on gentrifying an area. Much of my research built off of my earlier scrapped thesis topics. In particular, I found myself inspired by the research I did for an earlier thesis idea to examine graphic design choices made during World War II. So focusing on Western propaganda of that time, I drew a lot of influence from things such as: typography, color choice, dramatic angle, and an appeal to emotion among other things. The process I used was chosen in order to work on multiple poster concepts at once while refining a smaller selection. 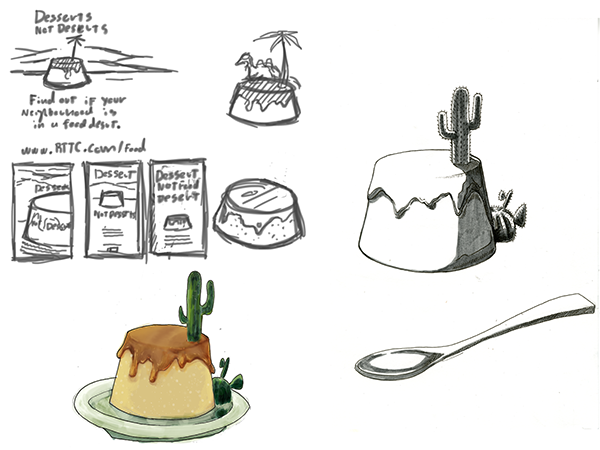 At the end of the semester, I now have a process portfolio full of my sketches for various concepts. Of those, I ultimately chose three to refine into the final products. I started with a sketching process on paper to get ideas down, before choosing a sketch to further refine into a more solid illustration. Once I was happy with the illustration, I scanned it in digitally and colored it in photoshop and did my typography treatment in there. Reflecting on my research, process and outcome, I feel confident enough to make a couple of observations. I feel as if it was successful from the reactions I have gotten so far, with individuals consistantly mentioning during critique that the imagery plays to their curiosity or sympathy to draw them into the poster. In an environment where many of us are on the move and real estate space for posters is competative, this is important. If I were to continue investing time into this thesis, I would like to question the limitations of a poster and address them; I would also like to get these on site and have the time to see how they react in different settings, lighting, weather, and to just time; I would also like to question if these might have a take-away aspect that would fit well into the emphasis of community. Zeman, Z. (1978). Selling the war: Art and Propaganda in World War II. London: Orbis Books. Chute, H. (2015, October 14). Understanding the Graphic Novel: Art Spiegelman's 'Maus' and Contemporary Comics. Lecture presented in Bernhard Center, Kalamazoo. George, A. (1959). Propaganda analysis; a study of inferences made from Nazi propaganda in World War II. Evanston, Ill.: Row, Peterson. Murray, C. (2011). Champions of the Oppressed? : Superhero Comics, Popular Culture, and Propaganda in America during World War II. Cresskill, New Jersey: Hampton Press. George, A. (1959). Propaganda Analysis: A Study of Inferences Made from Nazi Propaganda in World War II. Evanston, Ill.: Row, Peterson. Berkhoff, K. (2012). Motherland in Danger: Soviet Propaganda During World War II. Cambridge, Massachusetts, Massachusetts: Harvard University Press. Herf, J. (2006). The Jewish Enemy: Nazi Propaganda during World War II and the Holocaust. Cambridge, Massachusetts: Belknap Press of Harvard University Press. Rhodes, A. (1976). Propaganda: The Art of Persuasion in World War II. New York, New York: Chelsea House. Weingartner, J. (2005). The Arts as a Weapon of War Britain and the Shaping of National Morale in World War II. London: I.B. Tauris. Hench, J. (2010). Books as Weapons: Propaganda, Publishing, and the Battle for Global Markets in the Era of World War II. Ithaca, New York: Cornell University Press. Taylor, P. (2003). Munitions of the Mind: A History of Propaganda from the Ancient World to the Present Era (3rd ed.). Manchester: Manchester University Press. Zeke King's 2016 senior thesis. 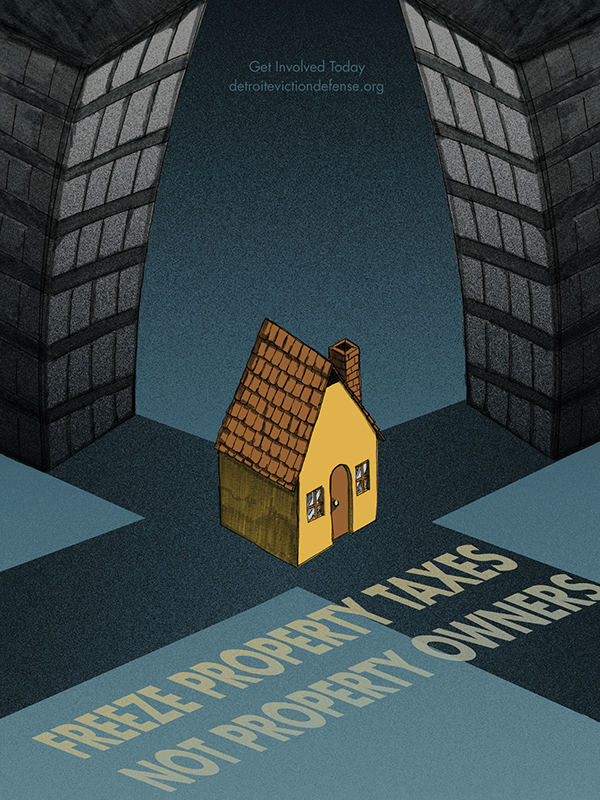 A series of posters to address gentrification and raise community awareness about resources available.